WHILE Harry Houdini prided himself on leaving audiences from around the world mystified at his illusions and escapes, modern science has revealed how he accomplished many of his spectacles of grandeur. Time doesn’t always shed light on unexplained mysteries, though. Consider the 5-tonne statues that dot remote Easter Island in the middle of the Pacific Ocean, or 5,000-year-old coins that have been found buried in the United States. Such oddities continue to baffle modern science as experts continue — to date in vain — to search for rational explanations to the world’s greatest unsolved mysteries, which are as confounding as they are exhilarating. The mystery of Easter Island and the Moai statues that inhabit it is something that most of us are at least vaguely familiar with, but the fact that there are still so many legitimate unanswered questions surrounding the island is in itself quite remarkable. Back in Easter in 1722, a Dutch explorer happened upon something strange. He was originally in search of a hypothetical land mass called Terra Australis, thought to exist because at the time they thought that the northern and southern hemispheres should be balanced. Instead though, he discovered an island in the Southeastern Pacific Ocean, which he would later name Easter Island due to the date of its discovery. He was surprised to discover that the island was inhabited, and he reported seeing 2,000 to 3,000 people there. This was surprising, because the island is ... well … really far from anything else at all. A staggering 1,900 kilometres away from the nearest inhabited land, and about 3,500 kilometres off the coast of Chile. 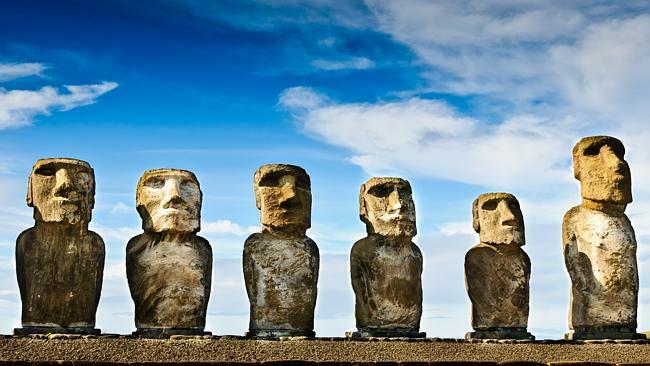 And yet despite its incredible remoteness, The Rapa Nui people who called the island home managed to carve and transport a mind-blowing 887 statues, some measuring 33 feet tall and weighing up to 82 tonnes, an average of 17 kilometres each. And this all happened roughly 700 years ago. The biggest remaining question mark concerning the statues themselves is definitely their transportation. Theories have been proposed that involve ropes, sleds, rollers, levelled tracks, or even that the people slowly rocked the statues back and forth to their destination. Attempts have been made to recreate the methods that could have been used, but most resulted in damage to the statues, or would have required hundreds of people making just 0.08 kilometres of progress per day. The truth is, we don’t really know exactly how they did it. But however the Rapa Nui managed to move the Moai, they would have certainly needed to be incredibly patient, creative, and organised to make them a reality. The year was 1865, and the American Civil War was drawing to a close. As the Union army marched the final path to victory, however, Confederate Secretary of the Treasury George Trenholm made one last effort to preserve the South’s assets: he liquidated them. While a veritable fortune in gold, silver, and jewels had been carried by President Jefferson Davis and his men when they abandoned Richmond, Virginia, when they were captured, it was all gone. All of it, save a few confederate banknotes. And the most improbable part of all was the staggering 4,000 kilograms of Mexican silver dollars that seemed to simply have vanished. 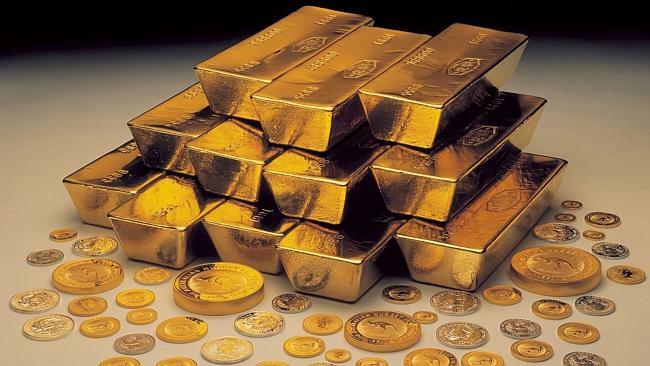 Dozens of theories have been proposed to explain the mystery behind the missing treasure. Some maintain that the gold was distributed among plantation owners and buried, waiting for a day when the South will rise again. Many believe that the silver was buried in Danville, Virginia, where it still resides today. Others have claimed that the funds were entrusted with a secret society called the Knights of the Golden circle, so that they could finance a second civil war in the future. But the truth is, the real fate of the Confederate treasury still remains a mystery to this day. Every so often, a discovery happens that forces us to re-imagine what we think we know about humanity, and how we got to where we are today. 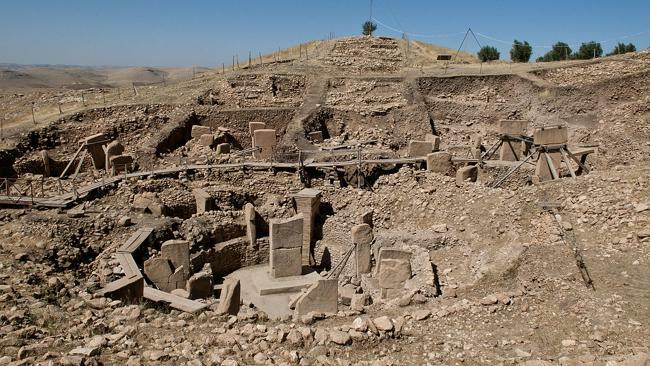 Turkey’s Göbekli Tepe is certainly one such discovery. The site, located at the top of a mountain ridge, is composed of more than 200 pillars, up to 20 feet in height and weighing up to 20 tonnes, arranged in roughly 20 circles. Many of the pillars have predatory animals engraved on them. And none of this would be surprising if it was built in, say 2000 B.C., but Gobekli Tepe was built more than 13,000 years ago, predating Stonehenge by more than 8,000 years. Its existence completely up-ends the conventional view of the rise of civilisation. The idea of a religious monument built by hunter-gatherers flies in the face of our knowledge about both religious monuments and hunter-gatherers. Prior to the discovery of this site, we believed that the people of that time lacked complex symbolic systems, social hierarchies, and the division of labour — three prerequisites, we thought, for building a 22-acre massive temple. Formal religion, meanwhile, is supposed to have appeared only after agriculture produced such hierarchical social relations. The findings at Göbekli Tepe, however, suggest that we might just have the story backward — perhaps it was the need to build a sacred site that first fuelled hunter-gatherers in their quest to organise themselves as a workforce, to settle down in one place, to secure a stable food supply, and to, eventually, invent agriculture. But the existence of the site raises far more questions than it answers. How did nomadic, neolithic man manage to organise a workforce to complete this site? Why was it built? How come it predates similar structures by thousands of years? Excavation started on the site in 1996, and most of it still remains to be unearthed, but for now these questions must go unanswered. During the late Bronze Age, civilisation was progressing at an impressive rate in the Aegean and eastern Mediterranean regions. Kingdoms rose, order was established, and technology advanced. The Mycenaean and Minoans had intricate palaces in Greece and Crete, the Hittites dominated what is now Turkey. And the Canaanites controlled what would become the holy land — Israel, Lebanon, and Jordan. But in the years surrounding 1200 B.C., all of the would change. Over the course of a single generation, all of those civilisations would be almost entirely wiped off the map, and those that did survive would be set back a thousand years, losing the ability to write and turning back the clock on the sophistication of their art, architecture, and pottery in the hundred years to follow. This event was part of what is known as the Bronze Age collapse, and it remains one of the largest dark spots in historians’ records. And one of the causes of this bizarre collapse was the mysterious “Sea Peoples” — a technologically inferior, unaffiliated group of seafaring warriors who raided the lands and are often credited with the collapse of these once-great civilisations. The problem is, historians still have little if any idea of where these warriors came from, or what became of them after their conquest finally ended in Egypt. 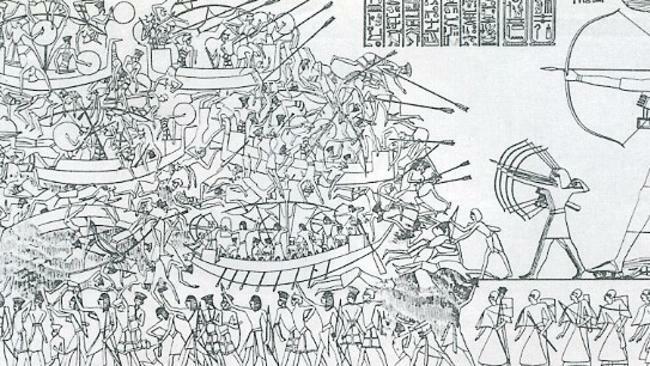 Also unknown is how the Sea Peoples managed to conquer civilisations hundreds of years more advanced in weaponry. But without solid records from the time, and with only scattered details of the origins of these strange raiders, we may never know their true identity. The Antikythera mechanism is an incredibly intricate analogue computer found in a shipwreck near Greece in the year 1900. The device was used to determine the positions of celestial bodies using a mind-bogglingly complex series of bronze gears. The device in and of itself would already be impressive, but the unbelievable part of the mechanism? It was created 100 years before the birth of Christ, and more than 1,000 years before anything even approaching its level of technological complexity and workmanship would be discovered again. The device also came long before our modern understanding of astronomy and physics. The Antikythera mechanism was built over 1,600 years before Galileo was born, and over 1,700 years before Isaac Newton was born. Now, the rational explanation is that the device used working theories on the movements of celestial bodies established at the time, and some remarkably brilliant craftsmen. But if you were looking for a jumping-off point for your new time-travel novel or alien sci-fi epic, this one should hit you like a 10-tonne brick. 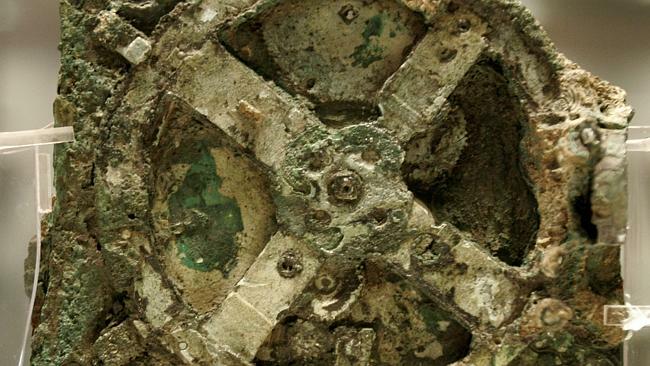 Because for all the explanations we can offer, the Antikythera mechanism raises even more questions. Throughout history, we’ve never ceased to be enamoured with tales of buried treasure, secret inscriptions, and booby traps. But one of the most enduring treasure mysteries of all time comes from a tiny island off the coast of Nova Scotia in eastern Canada. Oak Island is the home of what is informally known as the “Money Pit,” an incredibly deep hole of incredibly elaborate construction discovered in 1795. Over two centuries of excavation have unearthed no treasure thus far, but what has been discovered is arguably just as fascinating. Underneath the surface of the pit are a series of wooden platforms, and even deeper, flooding mechanisms formed from multiple underground canals leading to water. 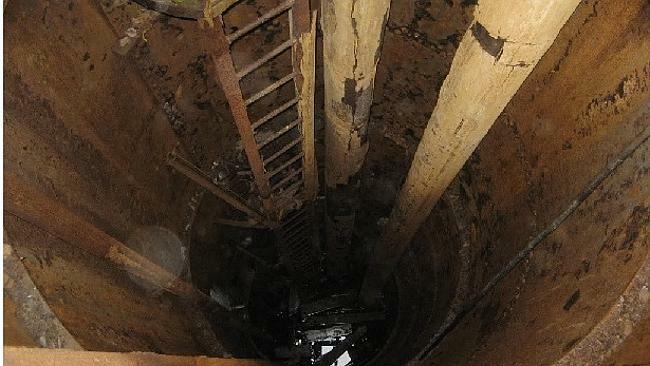 The first time someone managed to dig deep enough, the entire pit was immediately flooded, and due to the construction of the mechanism, it would fill back up with water as fast as you could remove it. At the 90-foot mark, an inscribed, encoded stone tablet was found that was revealed to say “forty feet below, two million pounds lie beneath.” In search for whatever the island is hiding, the money pit has attracted the attention of hundreds of search parties, including former president Franklin Delano Roosevelt, who in his youth spent a summer with fellow Harvard grads in search of the treasure. It’s truly a historical oddity, but considering that we’re no closer to finding out who dug the pit and why, after 200 years of searching, one must wonder if we ever will. 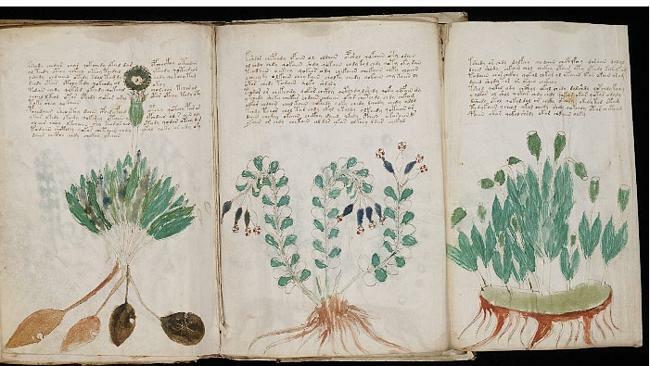 History is littered with ancient languages that have been decoded, and ciphers that have been cracked, but if there is one bizarre occurrence that marks a thorn in historians’ sides, it has to be the Voynich manuscript. Purchased by rare-book dealer Wilfrid Voynich in 1912, the text doesn’t appear particularly remarkable at first glance. A series of paragraphs over the course of 240 pages accompanied by illustrations and diagrams, broken into what appear to be six distinct sections. The sections appear to describe different topics of herbal, astronomical, biological, cosmological, and pharmaceutical nature. What is so remarkable about the manuscript, then? Well, It’s written in a language unknown to man, and has evaded all attempts to decipher its contents to this day. The writing is composed of over 170,000 characters written in patterns that resemble natural language. Twenty or 30 glyphs can account for nearly the entire text, with the exception of a few stray characters that appear only once. It was written smoothly, with no evidence of errors or corrections anywhere, and no evidence of pauses during writing, which one would expect with encoded text. Almost as to suggest that the language was natural for whoever wrote it. Carbon dating revealed that the script was written between the years 1404 and 1438, and although theories have been offered, nobody actually knows the author of the work. Due to the numerous failed attempts to decipher the Voynich manuscript, many have suggested that the manuscript is an elaborate hoax, and can’t actually be deciphered. But until the truth becomes known, this strange text will remain one of history’s most fascinating unsolved mysteries. 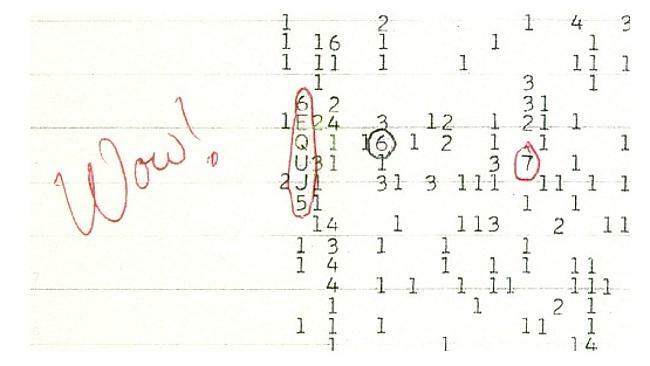 If you’re wondering what the fuss is about the signal, think of it this way — the signal that was received was at precisely the right frequency that wouldn’t be interpreted as noise, and wouldn’t be intercepted along its journey. In other words, if we were going to send a signal out into the universe to try to communicate with an alien race, that’s exactly the frequency we would use. 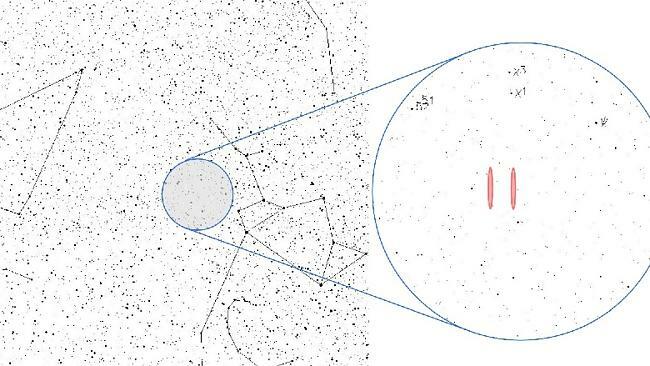 Despite the incredible occurrence however, all attempts to locate the signal again have failed, leading to much controversy and confusion about its origins and its meaning. 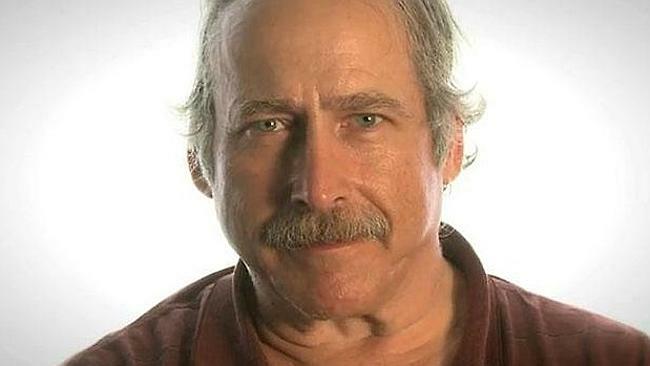 In 2004, A man that would soon adopt the name Benjaman Kyle woke up outside of a Burger King in Georgia without any clothes, any ID, or any memories. He was diagnosed with retrograde amnesia, unable to remember who he was, and with no identification, unable to find out. Now, if this was like any other story about amnesia, it would have probably resolved itself soon afterwards. But the trouble was, authorities couldn’t identify him either. Local and state police failed to discover him in any known records despite an exhaustive search. And then in 2007, the FBI became involved, but were also unable to identify him, making him the only US citizen in history listed as missing despite his whereabouts being known. One particularly unfortunate side effect of not having your own identity is that, without a social security number, he is unable to obtain full-time employment, and without memory of any past skills or disciplines, the problem is only amplified. After a student documentary was created about Benjaman, news media picked up the story, which attracted the attention of local business owners. One of the owners offered him a job washing dishes, a job which he is still working today. This enabled him to move out of the woods where he was sleeping, and into an air-conditioned shed, where he now stays. But his true identity and past remain a mystery to this day. 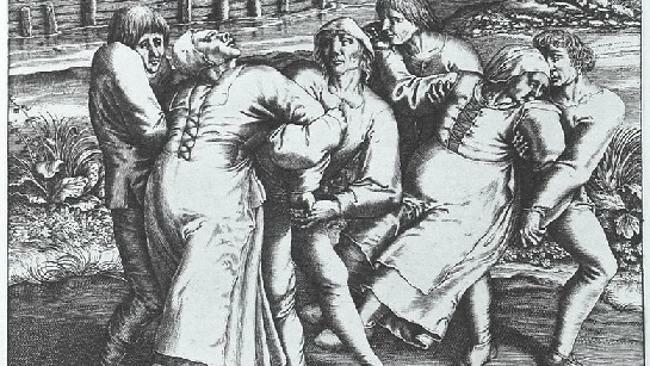 The story of the dancing plague sounds like something straight out of fiction. On a summer’s day in the town of Strasbourg during the year 1518, a woman began dancing wildly in the street. The day turned into night, the night turned into morning, and she was still dancing. Within a week, 34 others had joined her, dancing as though they were possessed, without stop, for no apparent reason. And within a month, the number of dancers had reached 400. Religious sermons were called to address the issue. Physicians were called in to document the event and try to find a solution. And all the while, the dancing worsened. Many became ill or died as a result of exhaustion, strokes, or heart attacks. The authorities eventually decided that the only way the dancers would recover is if they danced it out of their systems. Gild halls and a grain market were opened to the dancers, and a wooden stage was even constructed for them. Musicians were even brought in to keep those affected moving. Numerous theories have been proposed for the cause of the bizarre event, including poisoning, epilepsy, typhus, mass psychogenic illness, and even secretly coordinated religious rituals, but to this day we still have no answer for this truly unbelievable historical event. In June 1947, multiple ships travelling trade routes in the strait of Malacca, off the coast of Malaysia, received a terrifying SOS message that read: “All officers including captain are dead lying in chart room and bridge. Possibly whole crew dead.” After a short period of time, one final message was received, that read simply ... “I die.” Nearby ships identified the source of the signal as coming from a Dutch freighter, the SS Ourang Medan. The nearest merchant ship, The Silver Star, travelled as fast as they could to the source of the distress signal. 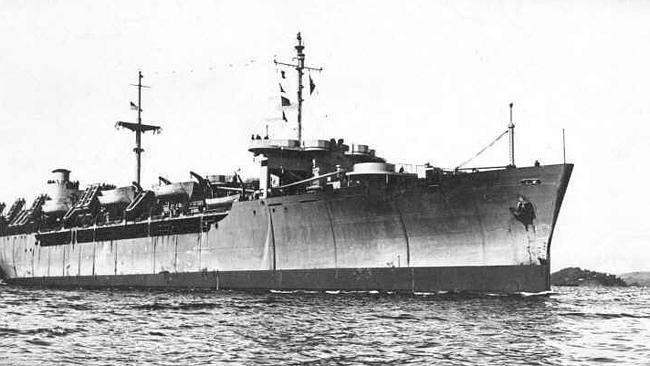 But upon boarding the Ourang Medan, they were horrified by what they found: Every member of the crew lay dead, their corpses scattered on the decks. The eyes of the men were still open and expressions of sheer terror were frozen on their faces. The Silver Star’s party found the deceased radio operator as well, his hand still on the Morse Code-sending key, and eyes wide open. But strangely, there were no signs of wounds or injuries on any of the bodies. The Silver Star’s crew decided to tow the ship back to port, but before they could get underway, smoke began emanating from the decks below. The boarding party quickly returned to their ship and barely had time to escape before the SS Ourang Medan exploded and swiftly sank. Some theorised that clouds of noxious natural gases bubbled up from fissures in the seabed and engulfed the ship, and others have even blamed the occurrence on the supernatural, but to this day, the exact fate of the ships crew remains a mystery. When we think of electricity, most of us recall back to a time in school where we learned about Benjamin Franklin, a metal key, and a kite. The year of Franklin’s fateful discovery was 1752. But the existence of the Baghdad batteries suggests the possibility of far more shocking scientific advances in the field — a mind-blowing 2,000 years earlier. Discovered in 1936, and thought to have been created in the Mesopotamian region, these clay pots contain galvanised iron nails wrapped with copper sheeting, and some archaeologists theorise that an acidic liquid was used to generate an electric current inside the jar. If correct, these artefacts would predate the currently accepted timeline for the invention of the electrochemical cell, attributed to Alessandro Volta, by more than two millennia. Whether or not the artefacts were in fact used as batteries is highly contested by archaeologists, and what the resulting electrical current was used for is also a complete mystery, as we have no historical records from that time. Some people theorise that they might have been used for electroplating objects, but such evidence of their use for that purpose is yet to be found. What we do know, however, is that the batteries would actually work, at least in theory. At least twice, experiments were conducted to test replica constructions of the batteries, including once on the show Mythbusters, and both experiments showed that the batteries were indeed capable of producing electricity when filled with an acidic solution. But for now, the true purpose of these artefacts remains unknown. Yes me too.. wonderful stuff..
Too interesting not to read........ posting to find later!! Our ancestors were very intelligent people Rogue. Capable of many things too. I have been to Easter Island and the Moai are interesting. Carved out of scoria though. Their purpose is still not understood. 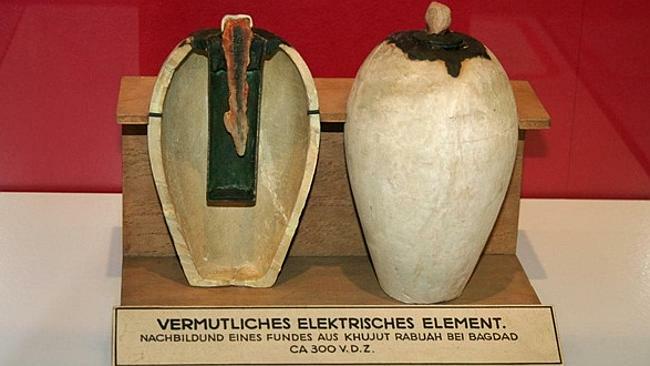 The Baghdad Battery is actually a cell not a battery (group of cells), and was probably used to electroplate gold onto objects. You can try the same with the beer can battery. Cut to top off a ally beer can and sand the inside a bit, fill with vinegar, then hang a copper pipe down the middle, the copper and the ally form a battery (cell) and you will get about .7v from it. Two will drive a wall clock. The Sea People of Egyptian history were probably the Minoans or maybe the Assyrians who tried to invade Egypt. The world has many odd events but. @Rockhopper wrote: Our ancestors were very intelligent people Rogue. Capable of many things too. Yes, shame we've all been so dumbed down ever since.